BEFORE we look at the Hero World Challenge time to reflect on last weeks selections; we start in Australia in the World Cup of Golf where two of our three selections finished first and second (Belgium 11/1 e/w Won, Australia 9/2 ew 2nd) for a profitable day. Meanwhile in the Hong Kong Open two of our three selections both finished Tied 6th to land the each way value and top 10 finishes. Cabrera Bello (11/1 ew and 10/11 for top ten finish) and Sharma ( 40/1 ew and 9/2 top 10 finish) ensured more profit on Sunday. Onto the Hero World Challenge / Tiger Woods Charity Event takes place in the Bahamas at the par 72, 7,302 yards Albany Golf Club. Defending champion is Rickie Fowler who has yet to make the winners enclosure this year and even with good course history is of no value to me. Only 18 players line up this week with Four European Ryder Cup players Rose, Stenson, Rahm and Noren taking on the best the USA and the Rest of the World can offer. 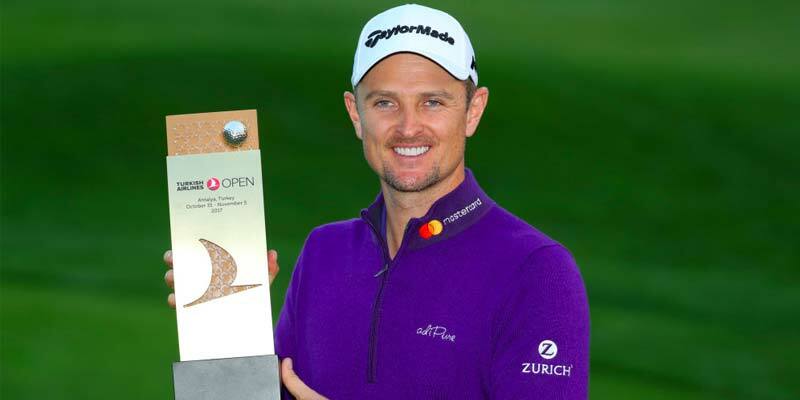 Number 2 in the world JUSTIN ROSE never lets anyone down and has had a few weeks off and will look forward to this challenge. He drives the ball well, has an excellent short game and his hot putter always makes him difficult to beat. Second up is the Number 3 in the World Ranking, DUSTIN JOHNSON, who drives the ball a country mile and, if getting the right putter in the bag will be thereabout on Sunday evening. Third selecttion is world number 11, JASON DAY. The Aussie missed the World Cup of Golf last week and will turn up refreshed. He has shown a return to decent form in the last month and with all family issues apparently behind him he’s a live outsider.